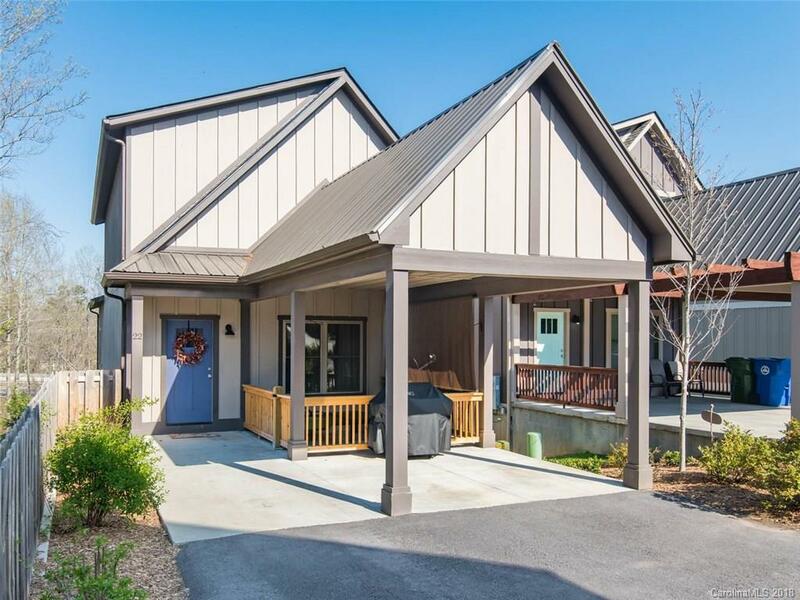 Move-in-ready, contemporary home in walkable West Asheville! Live just a short walk from Sunnypoint Cafe and more on Haywood Road! This home features an airy, open floorplan, granite countertops in the kitchen and bathrooms, stainless steel appliances, master suite on the main level, two spacious guest suites on the upper level and more! Endless entertaining options with a large rec room and wet bar in the basement! Abundant storage throughout with great closet space and a large, unfinished storage room in the basement. Community greenspace and a fenced dog park just out the back door! Two fantastic outdoor living options with a covered, front patio and a back patio off the basement rec room.